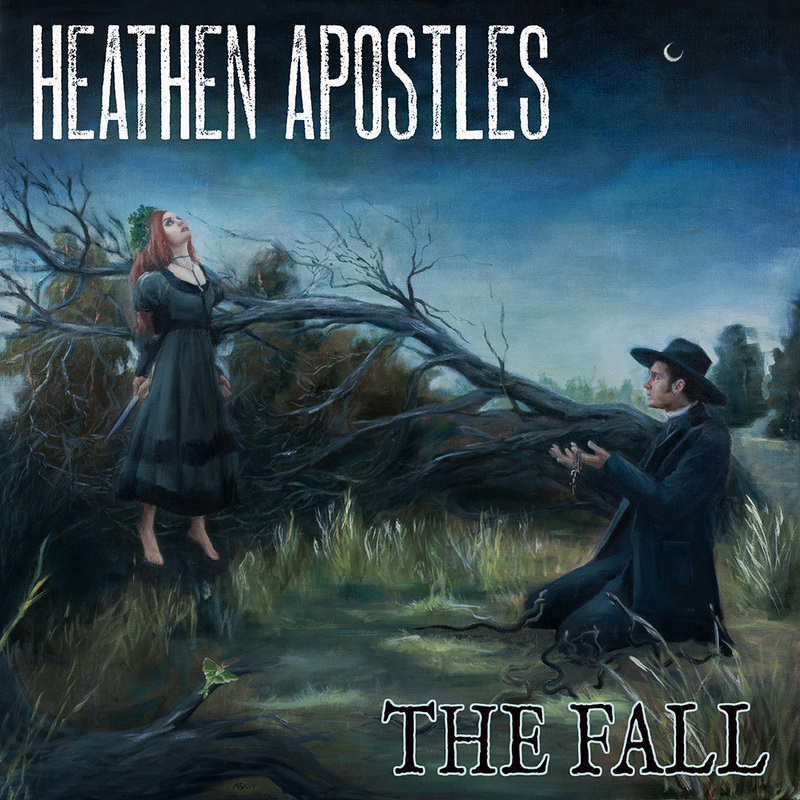 With the new Heathen Apostles’ The Fall EP (out 10/31/18 on Ratchet Blade Records) the band finds themselves once again returning to the darker realms of Gothic Americana. While touring Europe in support of their last album Bloodgrass Vol. 1 & 2 (a decidedly more rootsy collection of songs), the Heathens found inspiration standing in the shadows of centuries-old castles, and listening to the stories of historical characters immortalized in the murder ballads they have always loved. Out of this experience came the epic string orchestrations of Through the Forest, Through the Trees, the alluring poetry of The Fall and thoughts of love in the afterlife in Out of the Ground. “While we may feel our music heading in one extreme direction or another while we are recording it, it always seems to end up sounding like a Heathen Apostles song. The Fall EP definitely has its Gothic tendencies, but it belongs right beside any of our bluegrass or gypsy jazz-tinged songs,” states guitarist and producer Chopper Franklin. 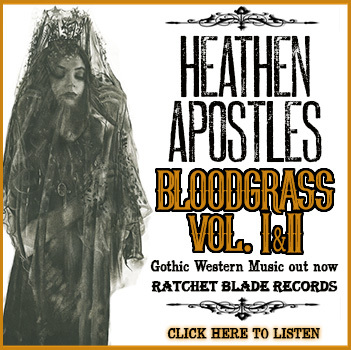 If there is such a thing in the current fringe roots genre as a supergroup, it would certainly be the Los Angeles-based dark roots and gothic country band Heathen Apostles, whose participating artists include ex-members of Radio Noir (Mather Louth), The Cramps (Chopper Franklin), Kings of Nuthin’ (Thomas Lorioux), and Christian Death (Stevyn Grey) in its ranks. That is one hell of a lineup. – James G. Carlson, No Depression Magazine. You can preview and purchase the Heathen Apostles’ The Fall EP by clicking HERE.